Milosch's Palace Chrysler Jeep Dodge is pleased to offer you our new and potential customers great benefits and savings with exceptional Dodge, Chrysler, and Jeep lease specials on new and used cars. We know you work hard for your money and we want your money to work hard for you! Our financing experts can help make a deal that will let you drive off the lot today in an irresistibly priced vehicle that fits your budget and your needs. Maybe your daily commute vehicle recently broke down or maybe you are just considering that it might be time to finally upgrade to something more fun or more comfortable. If that is the case, we encourage you to stop by and take a test drive today. We have a number of used and certified pre-owned vehicles at competitive rates with convenient financing and luxurious amenities. Contact Milosch's Palace Chrysler Jeep Dodge today for more information about our superior customer service and excellent rates on Chrysler, Dodge, Ram, and Jeep vehicles. 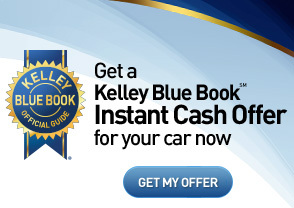 Make sure to ask about our lease specials for new and used cars. Rochester, Michigan residents count on us because of our dedication. Our professionals are committed to getting you behind the wheel and we will work with you to ensure all of the financing and details are taken care of. Stop by our showroom in Lake Orion, Michigan to start test driving! Come experience the Palace Difference! We offer a quick lube center, a free service shuttle for local customers, a customer lounge with free coffee and popcorn, as well as free wireless internet. We also offer a free car wash with every service.